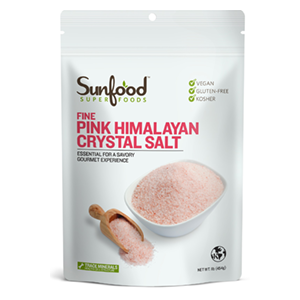 Pink Himalayan salt is a natural salt that has only recently gained popularity among health-conscious consumers in the last 15 years. 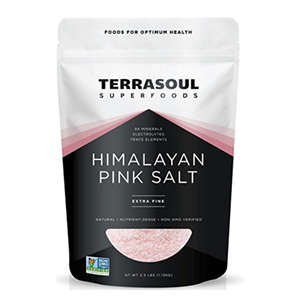 Also referred to by the names pink salt, Himalayan crystal salt and occasionally Himalayan sea salt, it is primarily used as a table salt alternative. 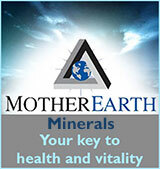 Like little "mini crystals", it is known to contain a rich source of trace minerals that exist within a unique crystalline form. Shades may vary from rosy salmon-colored pinks to sheer white or translucent, with darker pigments usually indicative of its mineral concentration and iron content. It is frequently used today as a finely ground salt, but the coarse or larger crystals are also dissolved in water and used as a "sole" (pronounced so-lay), or salt water solution. 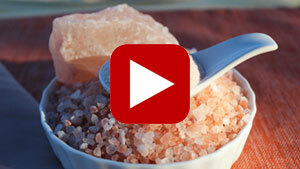 What Exactly is Pink Himalayan Salt? 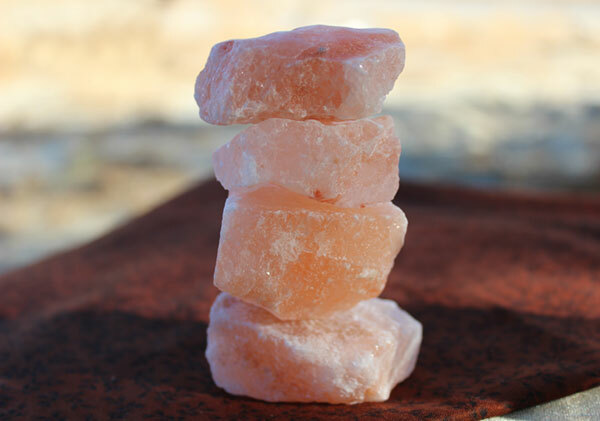 Pink Himalayan salt is a type of rock salt that is mined from deep ancient deposits in the earth that originated about 250 million years ago. Formed by the evaporation of shallow seawater followed by intense geological pressure, it is believed to be one of the purest forms of salt available. 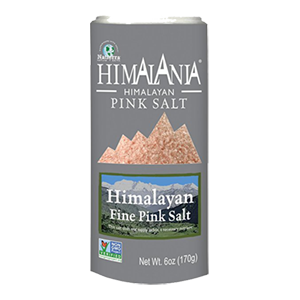 Largely advertised as being "Himalayan", the main sources of pink salt do not actually come from high mountainous areas of the Himalayas, but rather from the lower-lying foothills. This salt source is located about 250 miles (400 km) from the base of the higher Himalayan elevations in north eastern Pakistan, a mountain range that is home to the famous K2, the second highest peak on earth. 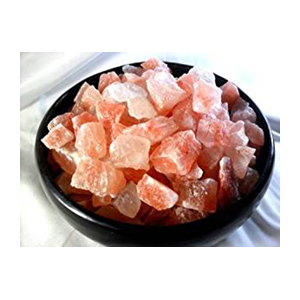 Most all commercial pink salt on the market today comes from the Khewra salt mine, the oldest and second largest salt mine in the world, located along an area known as the Salt Range. This is a mineral-rich hill system in Punjab Pakistan that extends about 185 miles (300 km) from east to west. Is this form of salt a finite resource? 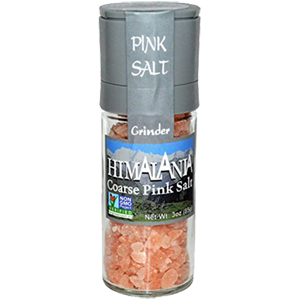 Unfortunately, pink Himalayan salt as a mined material is non-renewable. But, because there is so much of it, it is estimated that with the current extraction rate, the millions of tons of salt in the Khewra salt mine would last for another 350 years. 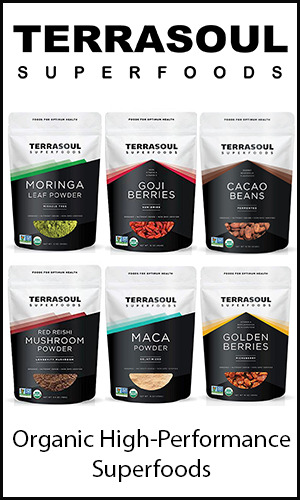 Adding a small amount of natural salt to the diet can help to provide essential trace minerals, replenish electrolytes, aid detoxification and stabilize normal body pH. There are however some health experts or schools of thought that believe it's good to either take a break from salting foods or eliminate its use altogether. 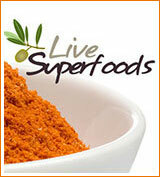 It is really a personal choice and can be chiefly dependent on your current health conditions and objectives. While salt is one of the basic five tastes and an essential part of a balanced diet, it can be consumed through a variety of sodium-rich whole foods rather than used as a straight food condiment. Seaweeds, of course, are an obvious alternative, but salty vegetable sources like celery, beet or certain leafy green vegetables are also known to contain natural sodium levels. 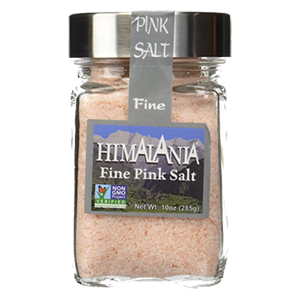 However, if you're someone who likes to use small quantities of salt on a regular basis, pink Himalayan salt is a much more balanced and healthier option over common "table salt." 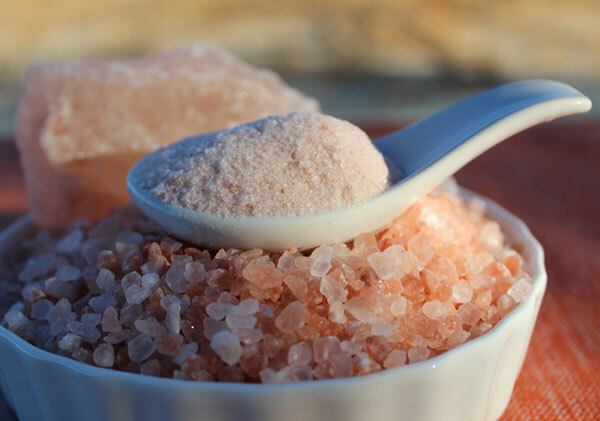 While both are made up of mostly sodium, pink salt also contains that small, but valuable, percentage of minerals and trace elements that make it easier on the body to utilize efficiently. 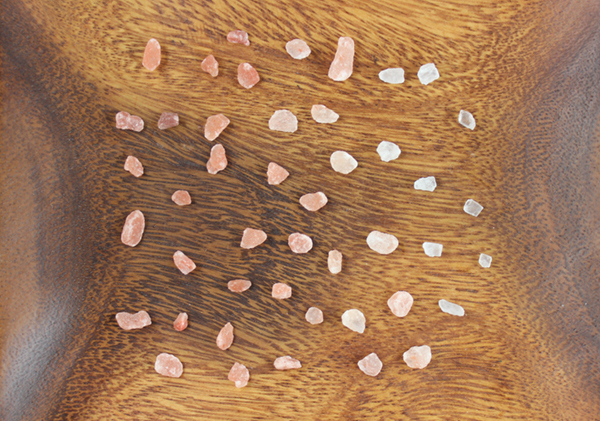 Pink salt is a definite upgrade over refined table salt, which in our opinion should largely be avoided. This comparison is very similar to the difference between a food-based vitamin C and ascorbic acid. It's just a whole lot better to consume condiments like salt with the minerals attached. Common table salt is created by heating natural salt to high temperatures. 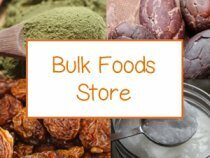 It is then chemically bleached or "cleaned" of all mineral content, isolating the sodium chloride content, a state which is known to make it harder for the body to neutralize. Highly refined table salt, a common industrial byproduct of crude oil, is not only stripped of its minerals, it is processed with toxic ingredients like anti-clumping agents, sugar (dextrose) and various chemical additives. 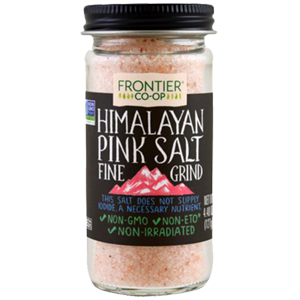 Pink Himalayan salt on the other hand is unrefined, unadulterated and toxin-free, just made from straight ground rock salt crystals. 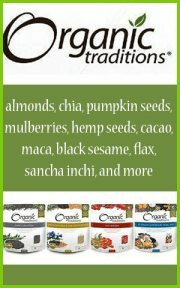 If you are going to use salt, there is no comparison, it is simply a better alternative. 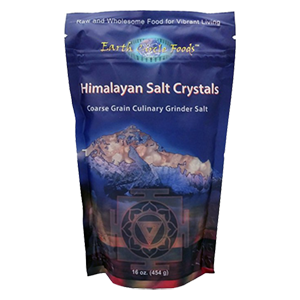 To ensure a broad spectrum of minerals, which may vary depending on salt source, we recommend using quality sea salts, like Celtic sea salt, and other natural forms of salt interchangeably with pink Himalayan varieties. 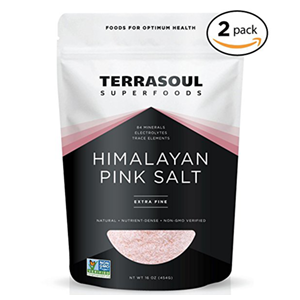 Why is Himalayan Pink Salt Considered a Pure Quality? 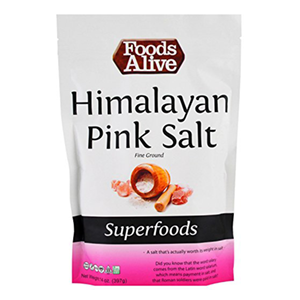 Food grade pink Himalayan salt is often advertised as a "pure" quality salt. This is claimed to be because it comes from very deep sedimentary deposits that were subject to an enormous amount of pressure, occurring slowly over a two hundred-million-year period. 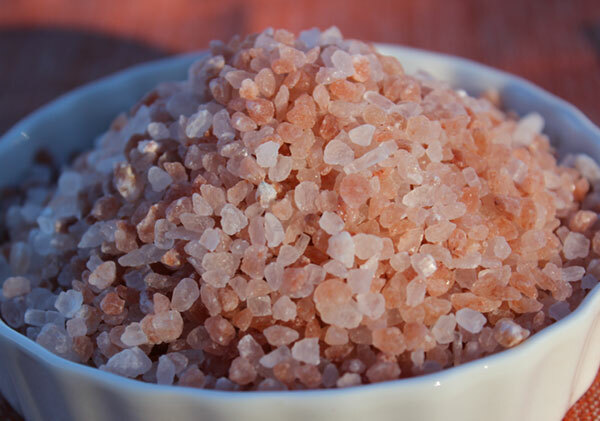 Unlike sea salt, which is produced from the evaporation of seawater, pink rock salt was formed from ancient sea salt deposits that have been preserved within the earth unexposed to environmental pollutants commonly found in the world today. Likewise, this intense amount of pressure over time produced a unique geometric crystalline structure. Some claim this crystal-like feature stores "higher energy vibrations", properties similar to rock crystals, as well as provides minerals in colloidal form which are easier to assimilate. One of the reasons behind consuming pink salt as a "sole" (so-lay) or salt water solution, rather than a ground salt, is to preserve this unique energetic characteristic. 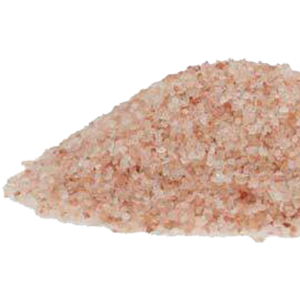 Pink salt is frequently used as finely ground salt crystals. Coarse pebbles, however, are also commonly sold in salt grinders which can be ground fresh onto meals or in recipes. 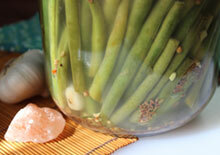 As we mentioned, one less popular way to use pink salt crystals is as a "sole." 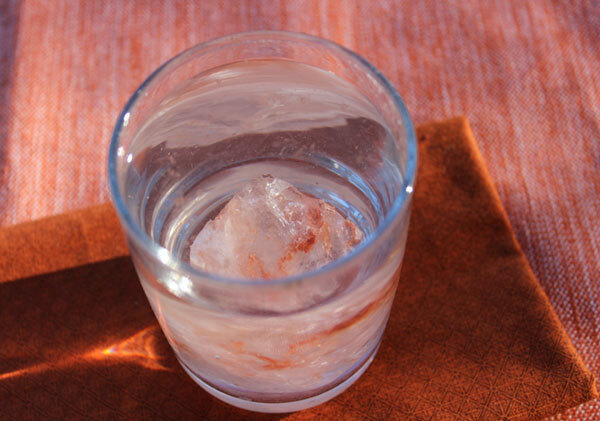 This is a salt water solution made by dropping in a few coarse pebbles or a larger crystal into a glass or jar of water. 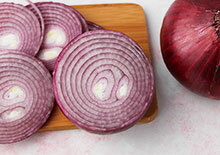 This liquid can be used in recipes, blended drinks, when cooking or preparing meals. Smaller size crystals can likewise be added to bottled water to replenish minerals and electrolytes when working out or performing high-intensity aerobic activity. 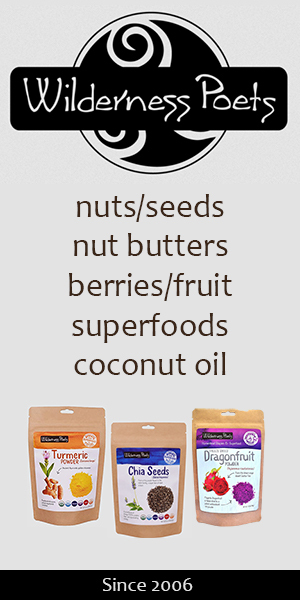 Again, it's best used interchangeably with other natural mineral and sea salt varieties. 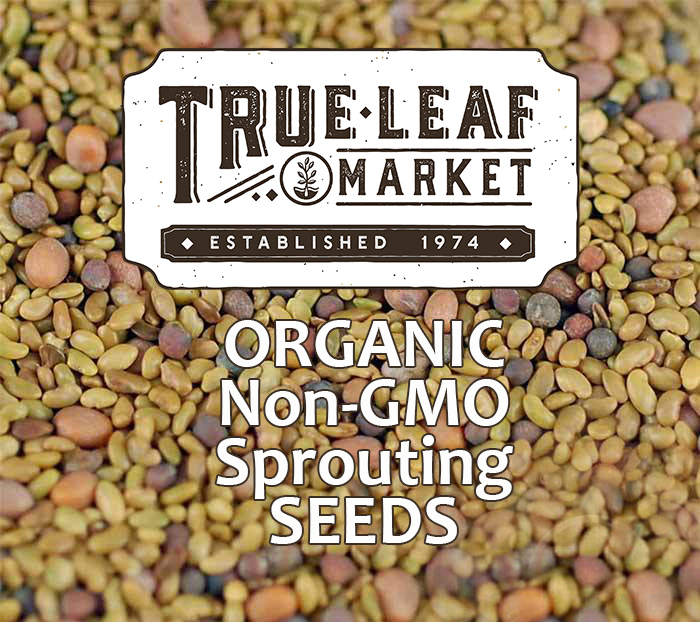 This is to ensure that you are getting a good spectrum of trace elements which can vary from source to source. Pink Himalayan salt can also be used therapeutically in neti pots with water to clear the nasal passages. 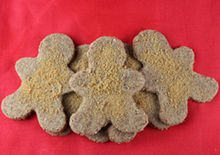 It can be used in hot baths and in homemade body scrubs and soaps. It is also known to aid respiratory functions and sometimes the salt is used in special inhalers or air purifiers to open the lungs and promote clear breathing. 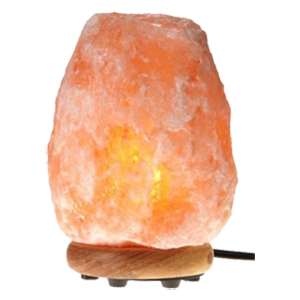 This is one of the main uses for pink salt lamps along with their claimed negative ionizing properties that are believed to help cleanse EMF's from one's indoor environment. 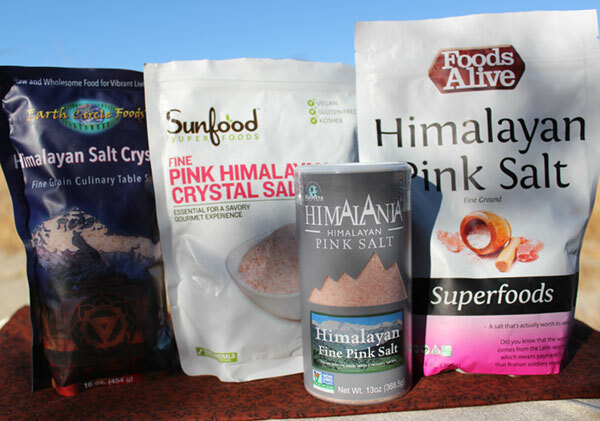 Because pink Himalayan salt is naturally high in sodium, it should be avoided or used in limited amounts by those with high blood pressure or other associated health conditions, like heart disease.